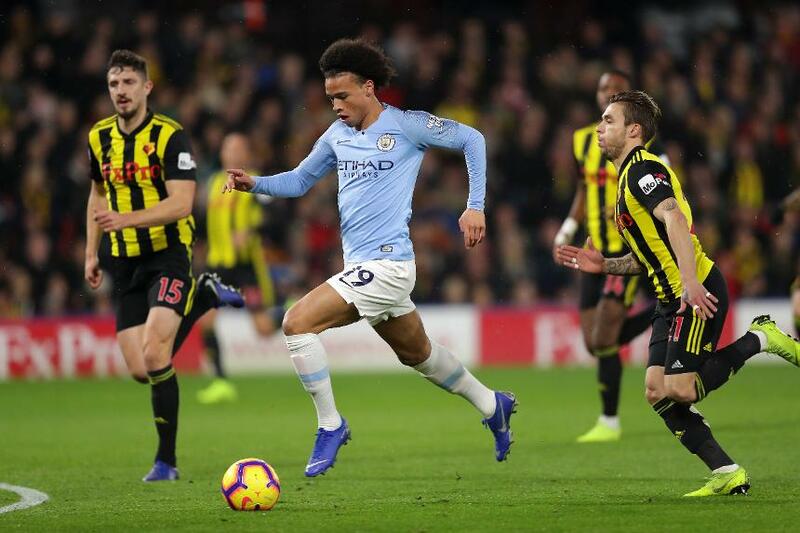 Leroy Sane has become the best left-winger in the Premier League and the in-form German could be Manchester City's key player for Saturday evening's trip to Chelsea. The 22-year-old is playing with great confidence and his end product has been staggeringly good. Across his last five starts Sane has scored four goals, produced four assists, attempted 15 shots and created 13 chances. Chelsea right-back Cesar Azpilicueta will have his hands full keeping Sane quiet at Stamford Bridge. Sane's quick feet and balance make him one of the most dangerous dribblers in the division, with 3.26 dribbles completed per 90, but he is actually a rather uncomplicated winger. His key traits are acceleration and a deadly left foot. Under the guidance of Pep Guardiola, he is learning how to make best use of those qualities. This season Sane has mixed up his positioning very well. He has kept his width during most of City's build-up play, stretching defences. But he is also timing his surges into the penalty box better. His average of 10.48 touches inside the area per 90 minutes in 2018/19 is up from 7.4 last season. 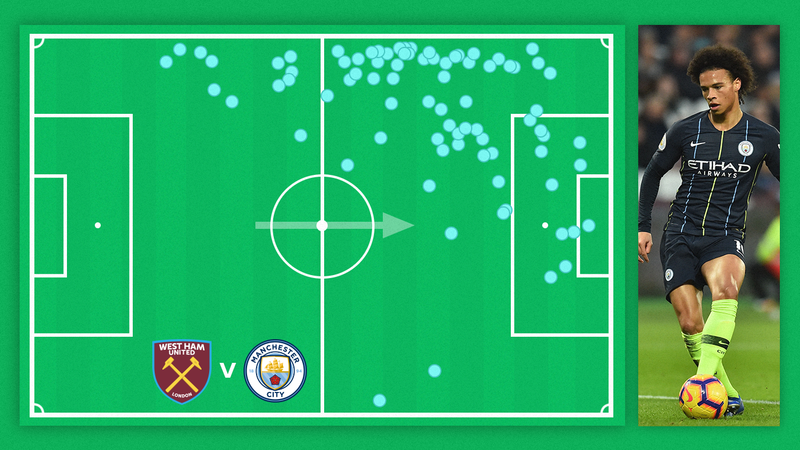 Sane’s touch map above in the 4-0 win at West Ham United last month shows how well he balances the need to provide width, with a desire to make an impact inside the penalty area. Compared with last campaign Sane is also bettering his output for shots, shots on target, goals, chances created, dribbles and assists, and has become one of City’s most productive forwards. Topping 35.2km/h at full pace, Sane has the speed to surge past Azpilicueta in 1v1 situations, but he may also have to contend with N'Golo Kante. In his right-sided box-to-box role, Kante slides across to break up attacks. Chelsea head coach Maurizio Sarri will likely instruct his midfielder to block the space in which Sane operates. If Kante can intercept passes aimed for Sane, or squeeze the room in which the German has to receive the ball, it will aid Chelsea's attempts to limit his influence on Sunday.